TEMPE – Years ago, Lois Brandt peeked into her best friend’s refrigerator and found empty shelves and only one small carton of milk. She realized then that her friend’s mother didn’t have enough money to buy food. Maddi’s Fridge is inspired by that moment in Brandt’s life—and will now premiere as play for families at Tempe Center for the Arts, weekends March 31 through April 8, 2018. 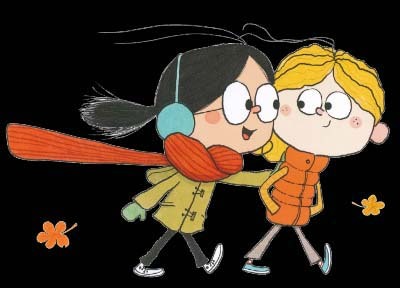 The story is about Maddi and Sofia, who are best friends. Maddi is really good at climbing the rock wall, while Sofia is a fast runner. One day Sofia discovers that Maddi has no food in her fridge at home. Sofia wants to help her friend, but Maddi makes her promise not to tell anyone. What should Sofia do? Based on the book by Lois Brandt, this play is a gentle, yet sometimes hilarious exploration of friendship, empathy, and doing the right thing. Tickets start at $12 and are on sale now at www.childsplayaz.org or at the Tempe Center for the Arts Box Office (480) 350-2822 (ext. 2). The play is recommended for ages 5 and up. Tempe Center for the Arts is located at 700 W. Rio Salado Parkway, Tempe, Ariz. 85281. Childsplay partnered with Valle del Sol and Fresh Express during the development of this new play, which began touring to schools throughout the state in February. Maddi’s Fridge features Shannon Phelps as Maddi, Osiris Cuen as Sofia and Edward Alvarado as Luis. Maddi’s Fridge was written by Anne Negri, based on the book by Lois Brandt. This production is sponsored by The National Endowment for the Arts. The 1 p.m. performance on Saturday, March 31 at is a special $12 Storybook Preview performance, sponsored by The Steele Foundation. Each family that attends this General Admission preview performance will receive a free book. The American Sign Language (ASL) performance is Sunday, April 8 at 1 p.m.
For interviews or media appearances, please contact Samantha Johnstone at (480) 921-5703 or sjohnstone@childsplayaz.org. High resolution images are available for download from Childsplay’s website at www.childsplayaz.org/press.